Through our partnership with Joy Ministries, Orphan’s Promise has been touching lives in Virginia Beach, Virginia for many, many years. Recently, we partnered together again on a new venture in The Bronx, New York. 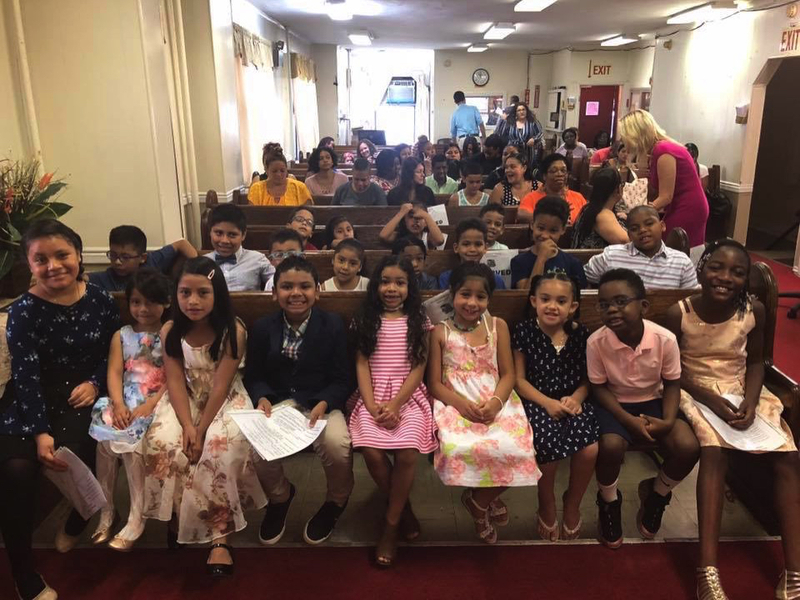 Through summer reading camps, children from difficult backgrounds have experienced incredible progress, both in terms of literacy as well as their spiritual lives. 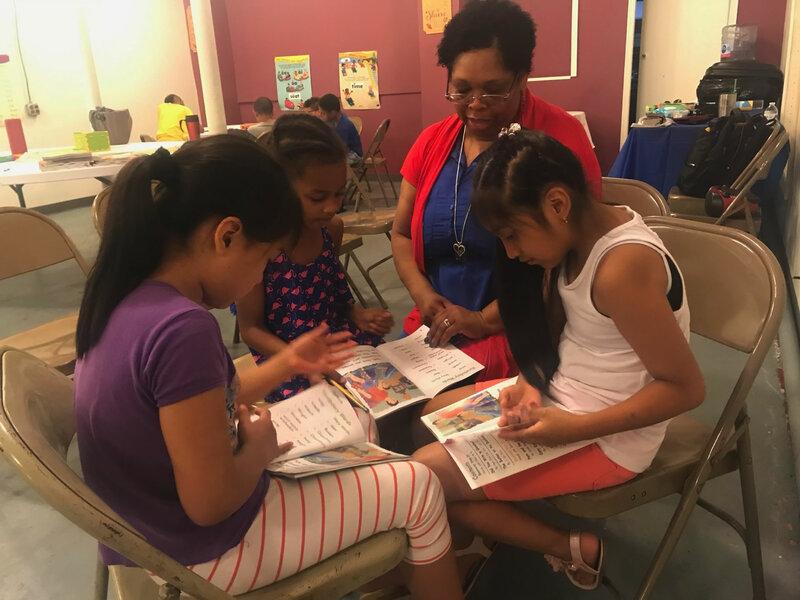 The reading program opens the door for staff members to build relationships with children and their parents, and once the relationships are established, the doors for discipleship are opened. The program continues to tutor children in after-school sessions now that the school year is under way, and we continue to see children’s lives transform. These are two stories of lives that have been impacted through our work in New York. When Miguel and his younger brother began the Summer Reading Camp program, they did not speak any English. They had only been in America for less than a month when they signed up for the Reading Camp in the Bronx. Miguel was very anxious. Our team began to work diligently with Miguel and his brother. The first week of camp, they both asked Jesus to come into their hearts. By the second week, itwas very noticeable that both of the boys were blossoming. Miguel began to read English words more and more confidently. On the day of graduation, Miguel was able to stand up in front of the entire crowd of parents and children and read a book by himself. At the end of the graduation ceremony, Miguel’s father approached one of the Joy Ministries staff members and shared his excitement regarding his sons’ progress. 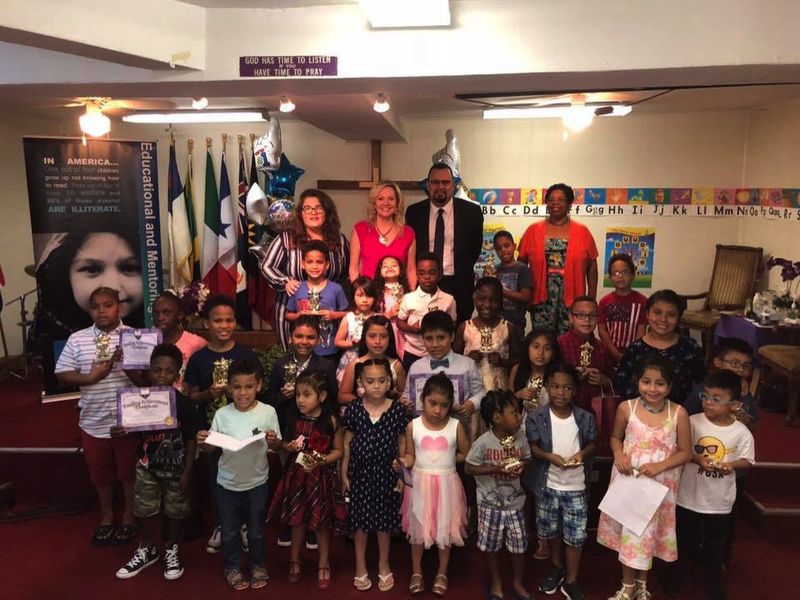 Miguel, his brother and countless other lives and eternities have been changed this Summer through the support Orphan’s Promise has shown to the Bronx Hope Center. Allizania had faced many obstacles at a very young age. As a baby, she’d faced an illness which required her to have a breathing trachea put in her throat. She is being raised by a single mom and because of her mom’s work schedule, her older sister often has to step in as her caretaker. Even though Allizania had graduated through Kindergarten, her reading level when she arrived was at 0%. She did not even know her A, B, C’s. Every day, Allizania would come into the camp eager to learn. Even when she was sick, she would come to the camp with eagerness. “I love that I get to learn to read here,” she would say. Every day she would come to camp, leaving only to go to the bathroom and clean her breathing trachea. The Reading Camp changed her life and not only gave her a new confidence but also taught her to read. 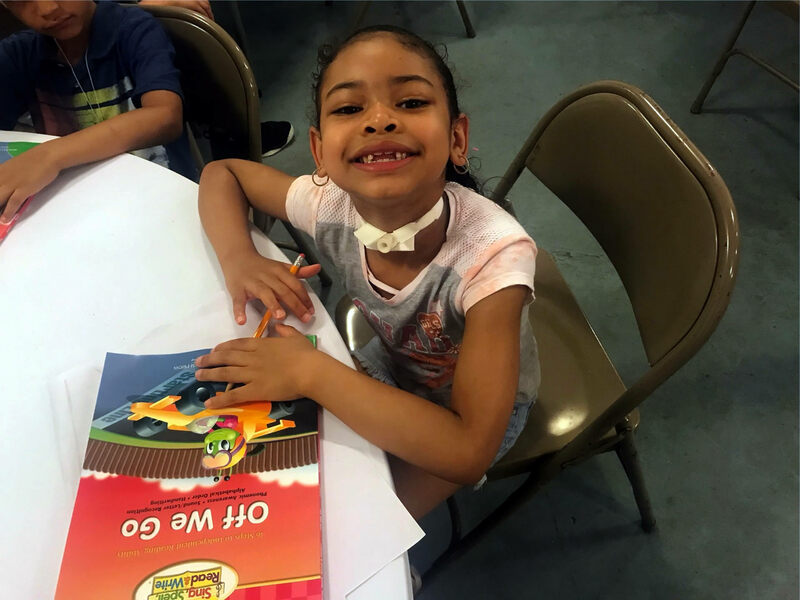 We are excited to say that because of the Reading Camp, Allizania was able to read her first book this Summer! with children who need it!